Shh… can you hear that? If you listen very, very closely, it’s the grumbling of lumbersexuals and other hipsters across the land, groaning over the fact that their L.L. Bean duck boots are hopelessly backordered. And winter is almost over! Have no fear, in the future it could be easier to ensure your feet are properly clad in rubber-toed boots before you take a photo of them somewhere interesting, as the retailer is aiming to open a slew of new stores in the next five years. While other retailers are shutting down, the company formerly known as that outdoorsy store whose catalog you’ve seen show up around your house over the years is set to seriously expand its number of retail locations by 2020 amid continued growth, reports the Associated Press. L.L. 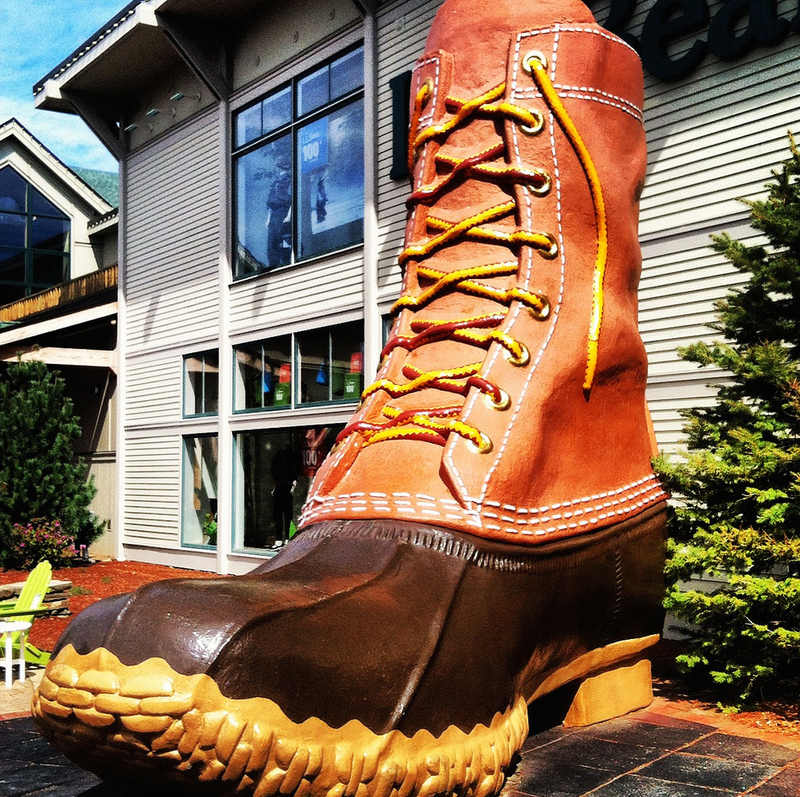 Bean currently has 26 retail locations and 10 outlet stores in the United States, and has plans to open four more stores this year. By 2020, it wants to triple that number to “at least 100” stores President and CEO Chris McCormick told workers in a memo Wednesday. The rubber-bottomed, leather-topped boots that first debuted as the “Maine hunting shoe” in 1912 have been essential to L.L. Bean’s success, with the company producing 450,000 pairs over the past year. That wasn’t enough last year: With a waiting list of 100,000 people trying to get a pair of those boots, some fans took to eBay, willing to pay doubled prices just to get a pair. To try to accommodate the increase in demand, the company is installing a second injection-molding machine this spring and hiring dozens more workers to churn out the popular boots. Though that friend who always posts photos of his boot-clad feet will still be able to brag about his “vintage” (read: parent bought them in the ’80s) pair, so that will be still be annoying even if everyone else has them, too.